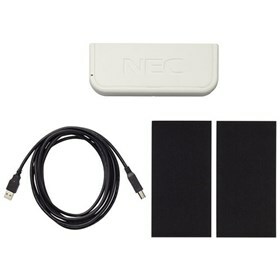 The NEC NP01TM is an interactive touch module that can be used with compatible projectors to transform standard projector screens into touch screens using laser technology. The NEC NP01TM has many exciting features for users of all types. See the NEC NP01TM gallery images above for more product views. The NEC NP01TM is sold as a Brand New Unopened Item.